In July 2010, New Jersey Governor Chris Christie envisioned some new gaming laws and legislation that would help bring more tourists to the Jersey Shore and make it more of a destination to compete with bigger draws like New York City. Out of this initiative, the Atlantic City Alliance was formed in April 2012 and all the major casinos were represented and contributed to the cause. In February 2012, Moment Factory based out of Montreal, created the Super Bowl 46 halftime show featuring Madonna. The spectacular show utilized 32 HD projectors hung directly over the field that interacted with a 140-by-80 foot LED stage and the pre-existing stadium ribbon boards. 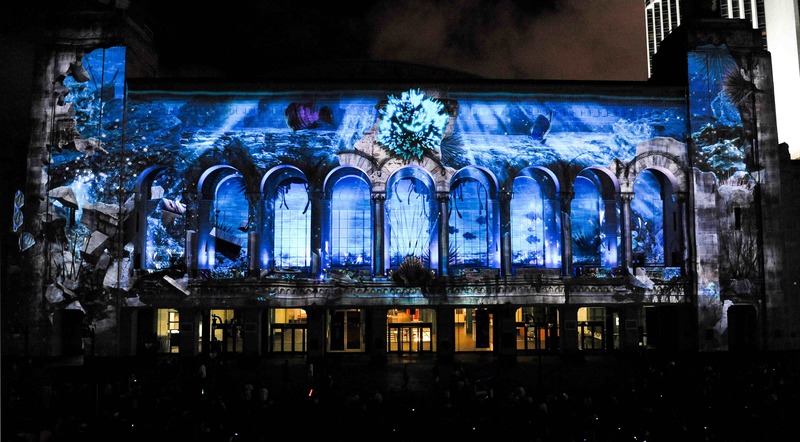 The result was a multimedia show that got the attention of the entire world, including the Atlantic City Alliance. 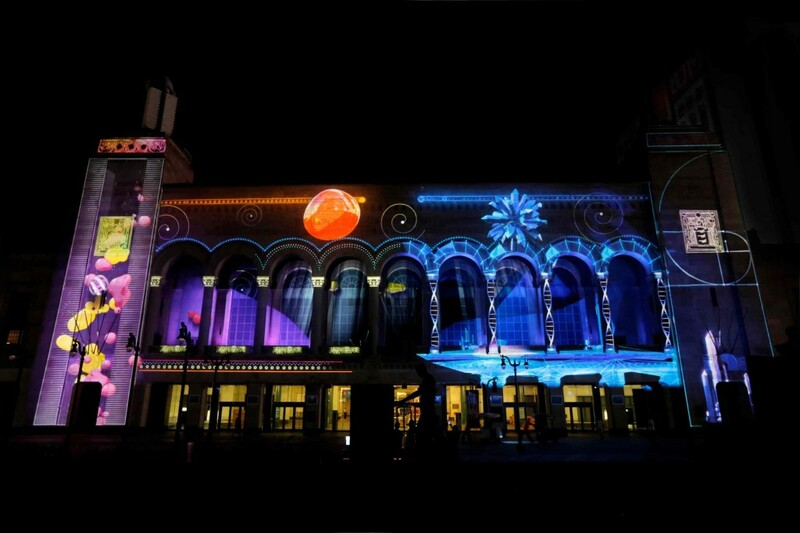 In spring 2012, a contract went out to create an entertainment spectacle on the facade of the Boardwalk Hall in Atlantic City using new projection technology similar to what was used in Super Bowl 46. The Hall stands as an architectural landmark just off the boardwalk. Built in 1926, it was designed as a concert hall. Artists like Bruce Springsteen, The Rolling Stones and even The Beatles all performed concerts there. The Miss America Pageant has been held there since it began until it later moved to different venues in 2006. Moment Factory was awarded the contract, but only had a three-month turnaround to complete it for opening day. What makes this company stand out, and perfect for the job, is their approach to a project. 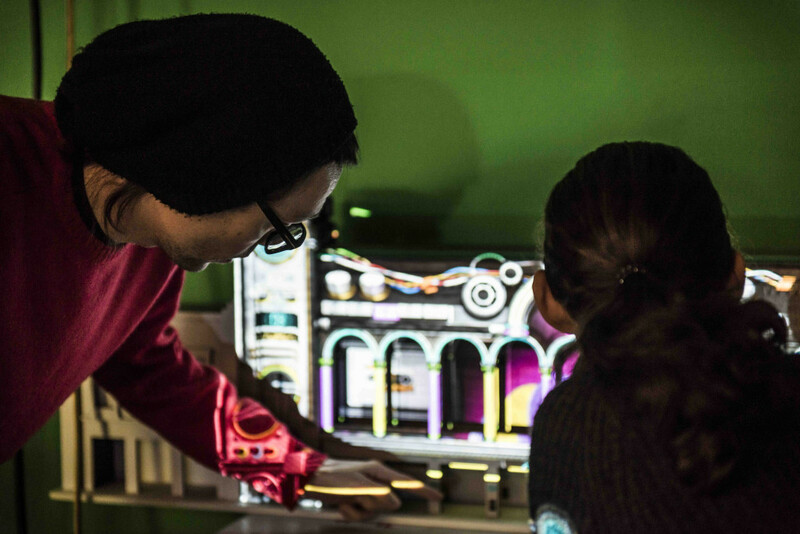 They handle everything from content development, design and even installation. Due to the tight schedule, nearly everyone who worked for Moment Factory in Montreal was on the Atlantic City Boardwalk Hall project. 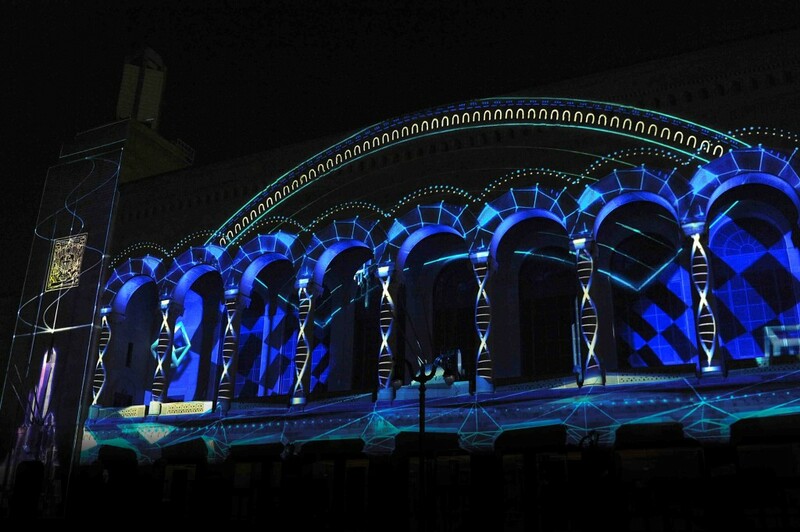 One of the first tasks was to make a video mapping the facade of Boardwalk Hall. They didn’t want to just cover the front with projections; they wanted to use the architecture to their advantage to tell a story. 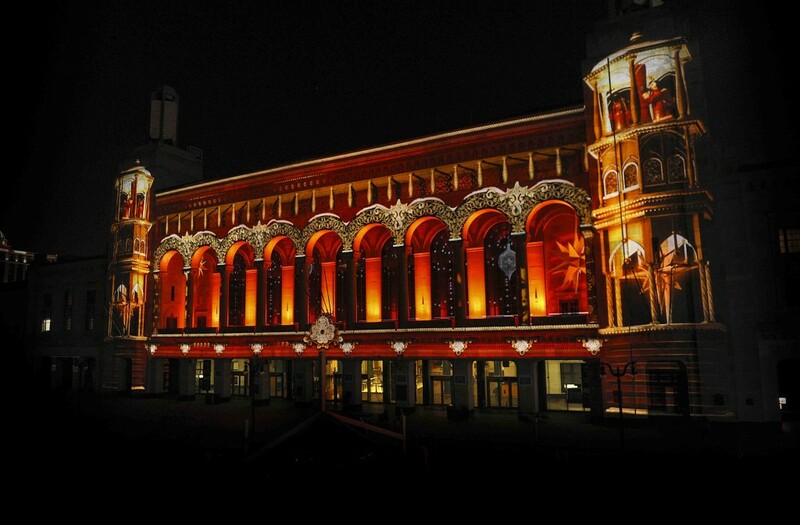 From there, they created an exact replica of Boardwalk Hall at their studio in Montreal so they could test certain projections with minimal risk if a certain effect or sequence would pay off in the final product. According to Genevieve Forest, producer on the Atlantic City shows for Moment Factory, they were given a lot of liberty to create something that was going to be iconic for the Alliance. Their first show, Duality, which opened in July 2012, centers around the dual purpose Atlantic City serves for its visitors. By the day, it’s flip flops and carnival rides for families. By night, Atlantic City transforms into a different playground full of high heels and night clubs for adults. With the Alliance’s approval, Moment Factory created Duality from scratch in a three-month window and opened on July 1, 2012. The result is far better than Atlantic City could have even imagined. 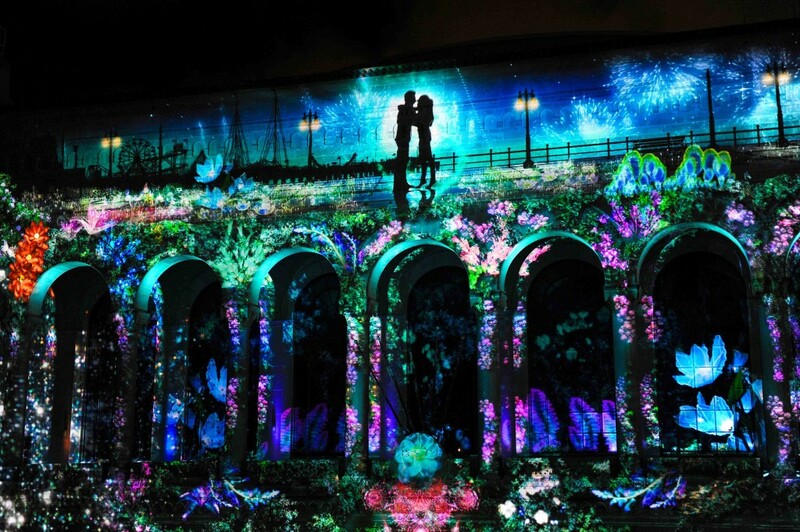 It’s a stunning spectacle that comes to life through the use of 12 HD projectors, 14 surround sound speakers and over 60 light fixtures. I highly recommend clicking the video above to get a taste of this show if you haven’t seen it already. After the success of Duality, the Atlantic City Alliance ordered three more shows so they could be rotated throughout the year or even over the course of the evening if the case may be. The first, Winter Sweet, debuted on December 1, 2012. This show isn’t just about Christmas or holidays; it celebrates everything winter. Check out the video below for a better view. Boardwalk Beat, the third installment from Moment Factory, debuted on Memorial Day 2013. Beat takes the history of music in Atlantic City from 1920’s Rag Time to the Rock ‘n Roll of today. It’s a perfect use of the iconic building which has hosted so many concerts over the years. This particular show was shot with live dancers in their studio in Montreal and used a historian who also helped collaborate on the HBO series Boardwalk Empire. Check out the video below for another taste. 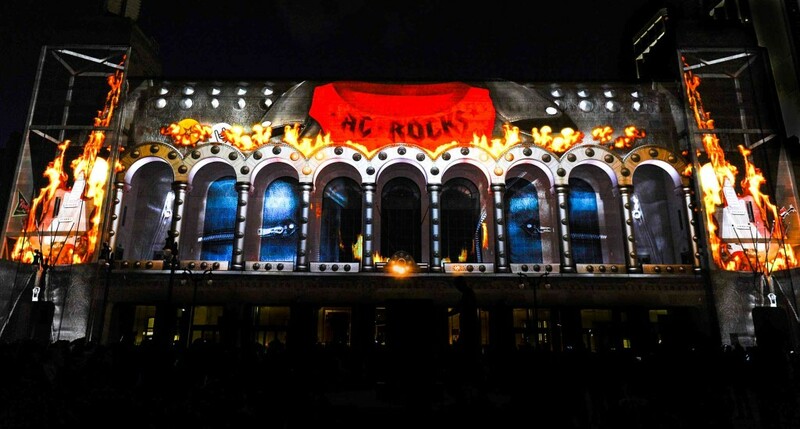 Finally in August 2013, the latest installment, AC Dreaming, debuted to the amazement of tourists in Atlantic City. Dreaming utilizes live actors who take in the sights and sounds of the city in locations like the pier, boardwalk and aquarium. Click on the video below to have your mind blown. Their efforts seem to have paid off, as Atlantic City was recently reported as the fifth most popular tourist destination in the United States searched online in 2013. Lonely Planet has also ranked the Jersey Shore as the #5 top place to visit in 2014. So next time you are in Atlantic City, check out one of the shows playing every 30 minutes at the Boardwalk Hall. For more information on Moment Factory visit www.MomentFactory.com. To keep up with the latest in themed entertainment, follow us on Twitter by clicking this link and like our Facebook page by clicking this! This entry was posted in Outside The Parks, Spectacles and tagged AC Dreaming, Atlantic City Alliance, Atlantic City Boardwalk Hall, Atlantic City Projection Show, Chris Christie, Duality, Madonna Super Bowl Half Time Show, Moment Factory, Winter Sweet. Bookmark the permalink. Trackbacks are closed, but you can post a comment.